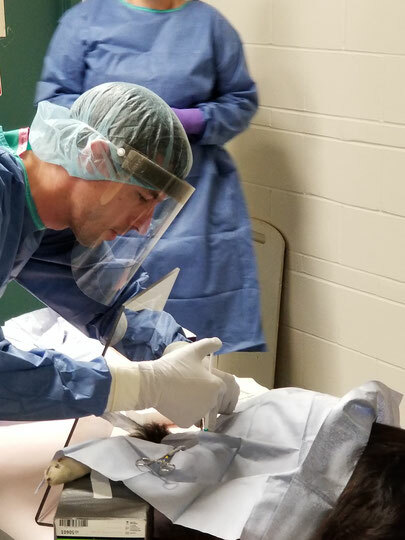 Dr. Maitz injecting ISOPET™ into the sedated pet. After therapy the pet owner commented that the dog had more energy than she can remember for a long time. “The owner is delighted!” said Dr. Maitz. The University of Missouri is now advertising availability of IsoPet® treatment for dogs and other species, including treatment of equine (horse) sarcoids.